Last month, I took part in the Festival of Museums, an annual event of talks and activities celebrating the heritage sector across Scotland. Every year has a theme, and this year it was adventure – and so I chose to talk about the way in which the desperate medical needs of the First World War led to new experiences for women in our region. An adventure is not always 'fun' - it also implies the widening of social and cultural horizons, with not a shortage of danger, which was certainly experienced through the dire circumstances of the War. One prominent figure from our region who really made her mark in the First World War and saw her fair share of danger is Elsie Inglis, founder of the Scottish Women’s Hospitals for Foreign Service (known as the Scottish Women’s Hospitals). 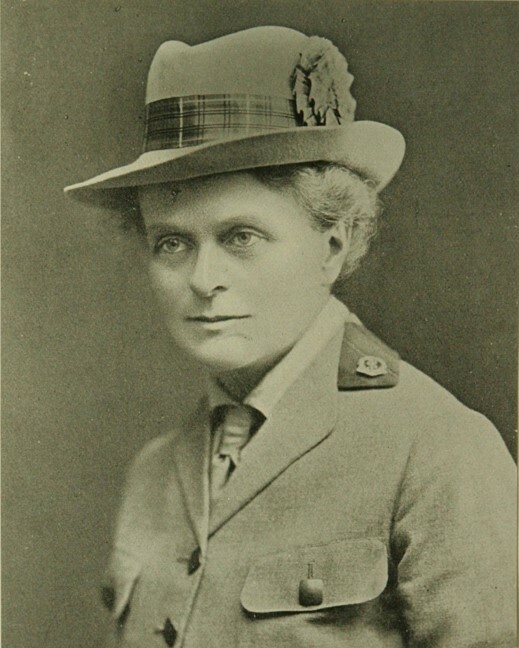 In case you don’t know the background to the Scottish Women’s Hospitals (SWH), Elsie Inglis was amongst the first group of women in Scotland to qualify as a doctor and a prominent women’s suffragist. When the First World War broke out in 1914, she offered to found all-female medical units working on the front lines, but was rejected by the War Office. Funded by the National Union of Suffrage Societies, she then went on to establish all-female units to treat wounded soldiers at the front, the SWH, at first working in partnership with the French Red Cross. Throughout the war, units went on to work independent of the British government in Macedonia, Greece, Corsica, Romania and Russia, with Inglis herself mostly working in Serbia, Romania and Russia. The hospitals were staffed entirely by women: by female doctors (quite a feat – there weren’t that many about), professional nurses and volunteer nurses and orderlies. 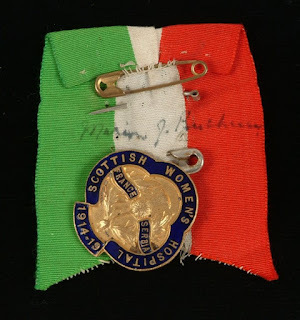 Although we don’t hold the archive of the SWH (these are based mainly between Glasgow City Archives and The Women’s Library), we do have some evidence of what life must have been like for women in the harsh conditions of the front, especially in Serbia, where SWH units worked from late 1914 to late 1915. 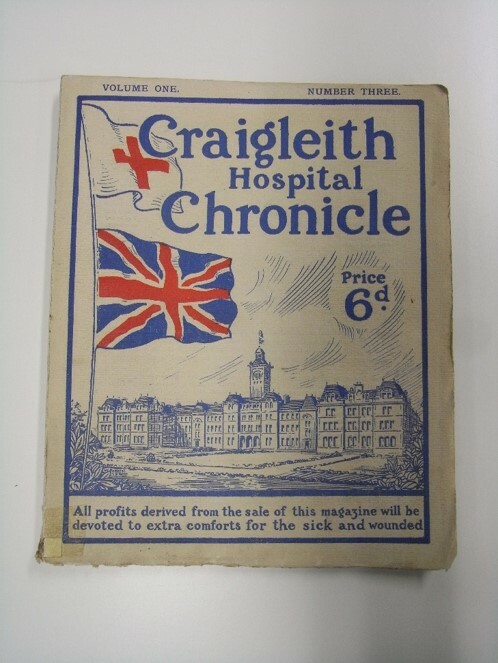 For example, one anonymous nurse known only as ‘MTF’ wrote dispatches back from the Serbian front to an Edinburgh military hospital, the Second General Hospital, Craigleith. 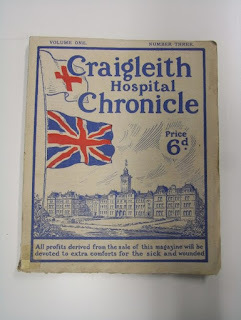 These were published as a series of articles, A Nurse's Notes from Serbia, in the hospital magazine (the Craigleith Hospital Chronicle). When the SWH arrived in December 1914, the Serbian army was poorly resourced – with only 300 doctors to serve half a million men. In contrast, the SWH were famous for turning these sorts of conditions around, and for the professional, comfortable nature of their hospitals. However, the SWH’s time in Serbia was eventually to be cut short. By winter 1915, the Serbian army could no longer hold out against the Austrian army they were fighting, particularly when the Austrians received re-inforcements from German and Bulgarian forces. The Serbian Army retreated into Albania, and some members of the SWH went with them. The journey was in terrible weather over mountainous terrain with little adequate shelter. 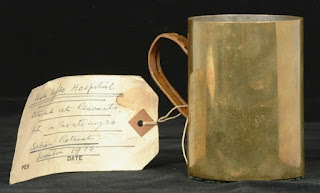 LHSA has an interesting artefact from this hazardous journey: a mug given to Elsie Inglis from a peasant’s home on the retreat through Montenegro. It is part of our collections from the Elsie Inglis Memorial Maternity Hospital, the hospital that was built as a memorial to Dr Inglis after the War. Dr Inglis was amongst SWH members taken prisoner on the hazardous journey. Her release was negotiated and she was repatriated – but she was later to return to hostilities on another medical mission, this time to Russia and Romania. However, although the SWH served until the War ended, Dr Inglis herself was battling cancer, and in late 1917, she returned home to the United Kingdom. She died on 26th November 1917, a day after her ship had docked in Newcastle.